Helping happy couples get hitched is what we do best here at Marisa Nicole Events. A huge part of that is guiding love-birds in identifying that perfect venue for their day. 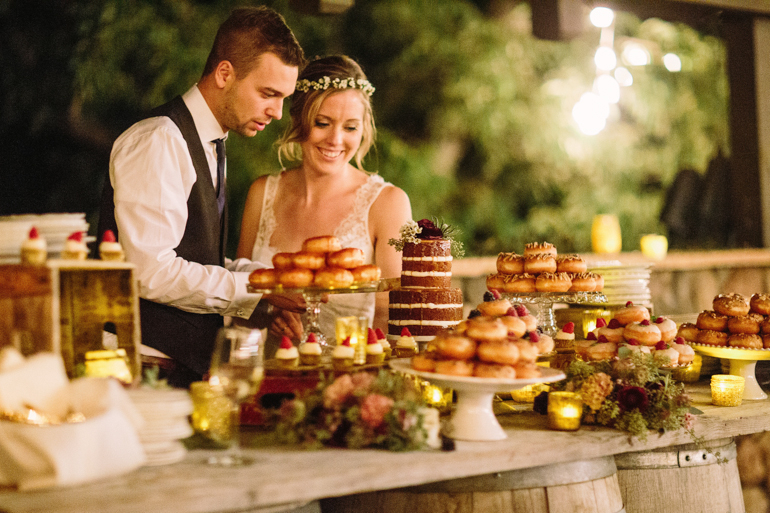 Finding a location that fits the couple’s style, budget and over-all wedding values is often the most difficult, yet important part of the entire wedding planning process. As many couples for 2016 (and late 2015) are on the hunt for fab spots for their celebrations to take place, we thought we’d help out in this effort by sharing info on some of our favorite spots in Los Angeles. With so many fantastic venues in the Greater LA area, it would be impossible to put them all in one post, so once a month (for the next few months, at least) we will bring you a new installment of this sweet series. Of course you know that we have to start with SmogShoppe, since it was the space that started this whole trend and is always the first place that comes to mind when thinking of urban venues such as these. This space comes with square wooden tables and mismatched chairs for about 100 guests (love it! 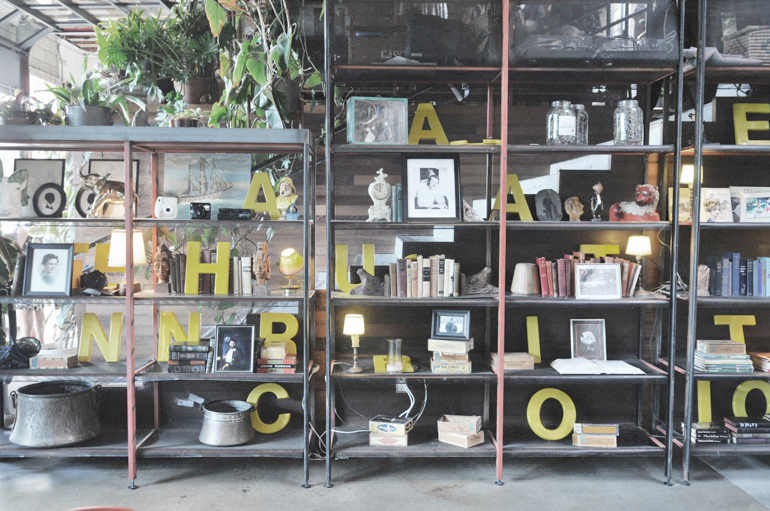 ), and is adorned with succulents galore! The SmogShoppe is proudly the greenest venue in Los Angeles and the United States, with large courtyards, skylights, and minimal energy use. The options at the SmogShoppe are endless with fun nooks at every turn for couples to place detailed items that and help bring their theme to life. Our favorite feature of this venue is that it has a true in-door/out-door feel, with just garage doors (which can be completely shut or completely open) separating the ceremony and cocktail area from the dinner and dancing space. 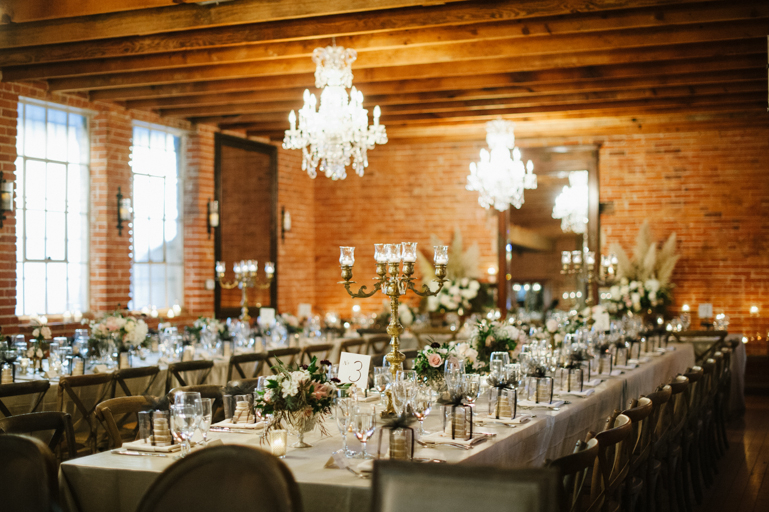 The Carondelet House can only be described as dreamy, intimate, and swoon-worthy. Plush furniture and glam chandeliers are sprinkled throughout this mini-mansion, located smack in the middle of Los Angeles. This Italian Villa with an urban flair has artwork that adorns the walls and wood beams make this venue a truly unique space. We love that you can easily dress this venue up or down, and that expansive rooms with hardwood floors create a warm and inviting space. With this venue, you have a mix chairs (vineyard wooden cross-back, upholstered and benches) as well as a mix of long wooden farm tables and basic rounds. 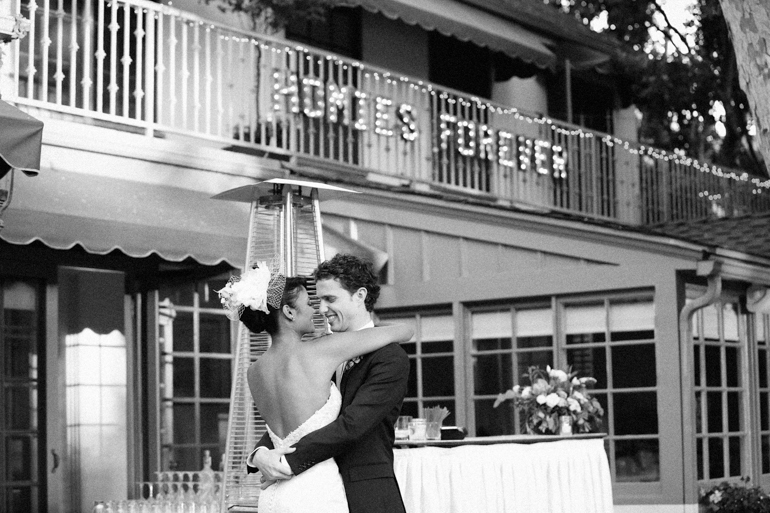 The Fig House is located right in between downtown LA and Pasadena, and is an indoor, outdoor venue that is sure to please you and your sweetheart, as well as all of your guests. Unlike the other spaces, the Fig House is large enough to not have to flip (or reuse) rooms and you aren’t limited by guest count. 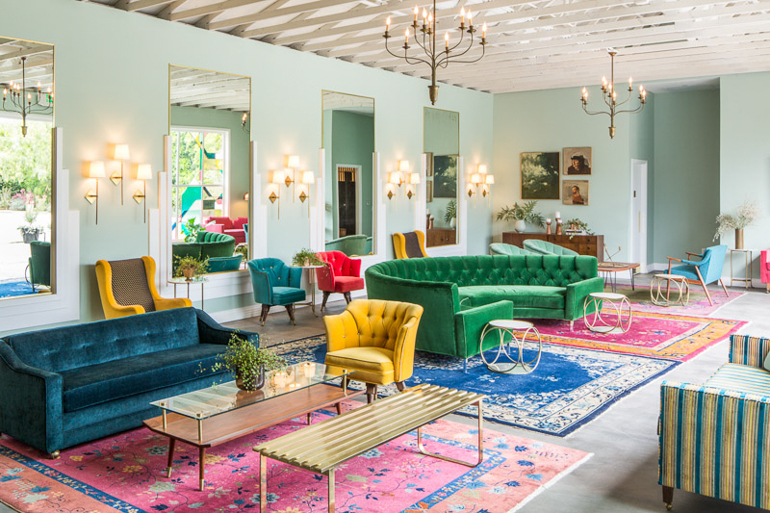 Our favorite feature of this venue is its gorgeous aqua colored walls and the plush lounge furniture. The greenery in the patio is just stunning. The venue comes with wooden hexagon shaped tables (that can also be made into squares) and simplistic industrial style wooden folding chairs. If you are looking for lush outdoors with a modern glam feel, make sure to check out the Fig House, we think you’ll love it! 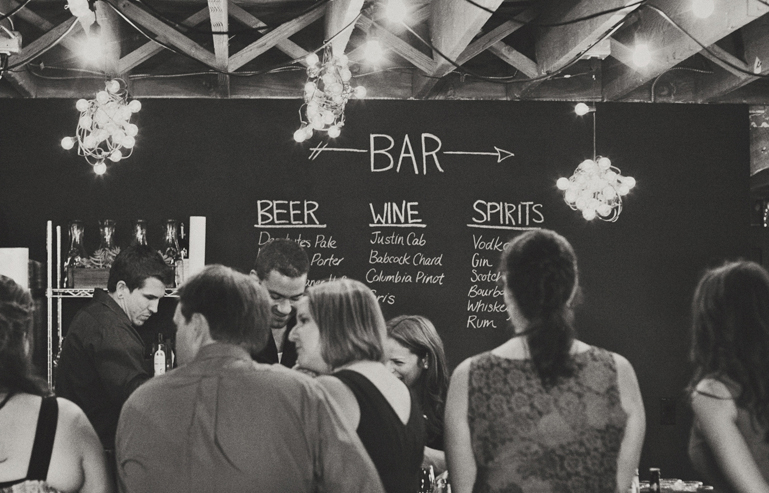 If you decide to celebrate at Smoky Hollow Studios, make sure to call up a great chalkboard artist too, because it would be a crime to not make the most out of all the built-in blackboard areas! 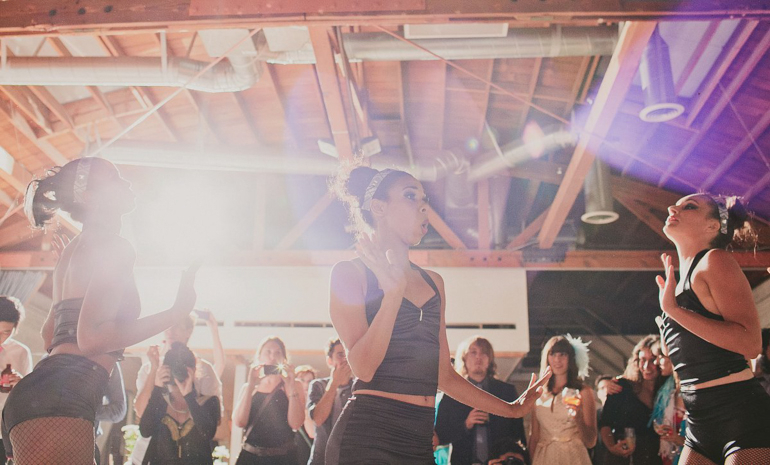 This venue is truly a blank space for your inspiration to come alive. Since no tables and chairs come with the venue (aside from the fun market lights inside), every option is at your fingertips at Smoky Hollow Studios. 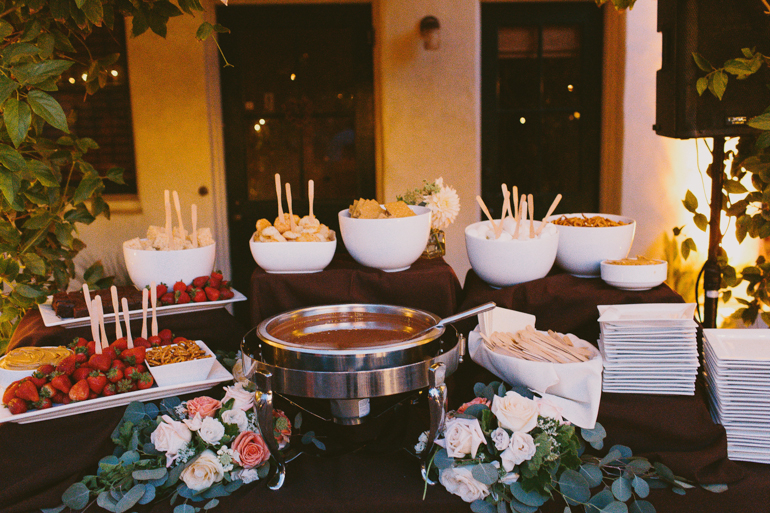 You can bring in whatever caterer you want at no additional cost, and choose the aesthetic rentals that fit your vision. If that is not enough, Smoky Hollow Studios is located in the industrial section of El Segundo, just minutes from the beach; so if you want to stop by for photos, it won’t take but a few moments to do so! 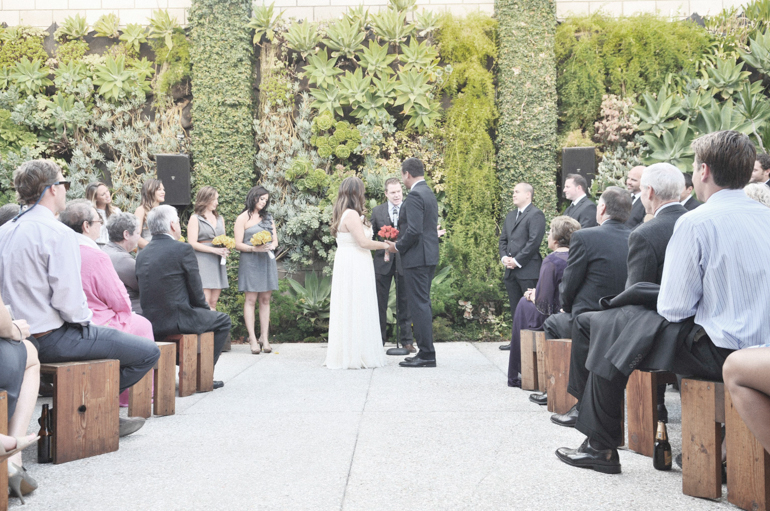 We love urban spaces, and we think that they are a great option to make your weddings dreams become a reality. With the blank spaces and endless possibilities, make sure to consider picking an industrial venue for your special day; we think you’ll love it! Favorite Wedding Blog: I love Style Me Pretty, everything from the design of the page to the content of the posts always leaves me speechless! 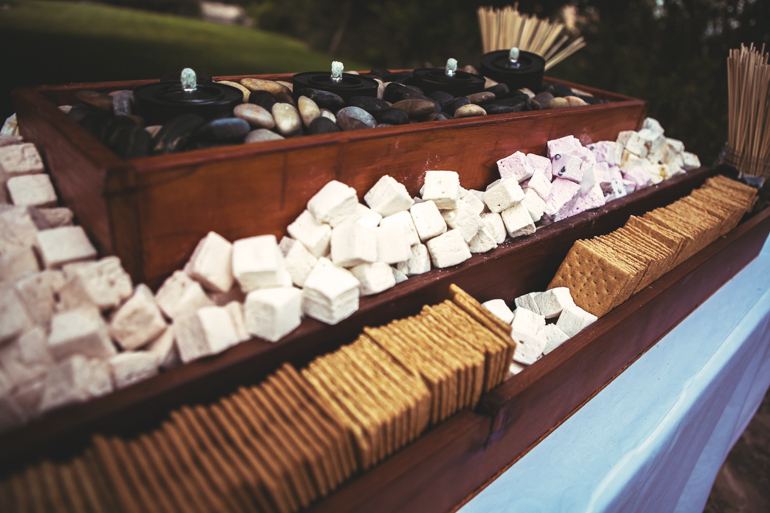 Describe the Perfect Wedding Cake Flavor Combo: Call me crazy, but I’ve never been a cake fan. 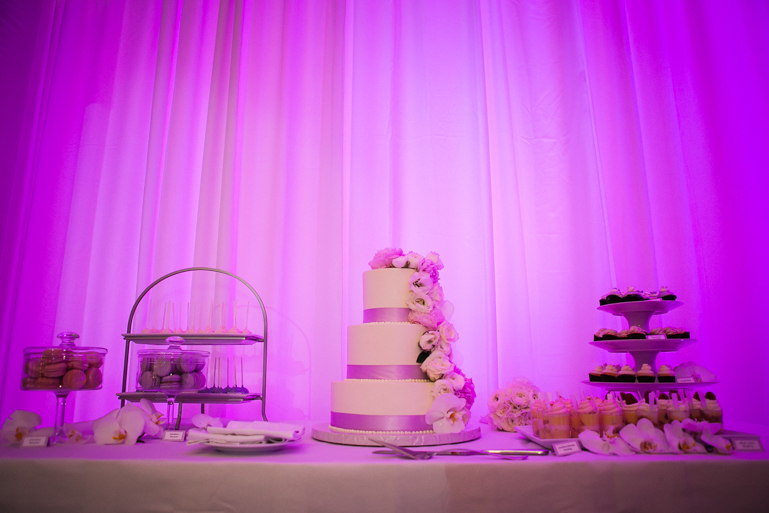 However, I love look of simple, elegant cakes! 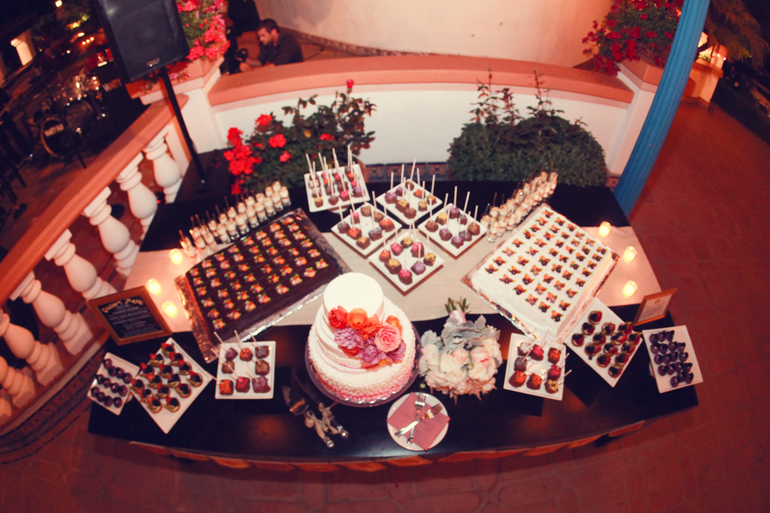 Favorite Styling Genre for Event Design: Designs that are simple with a touch of detail are hands-down my favorite. I have always loved clean designs with a pop of color. 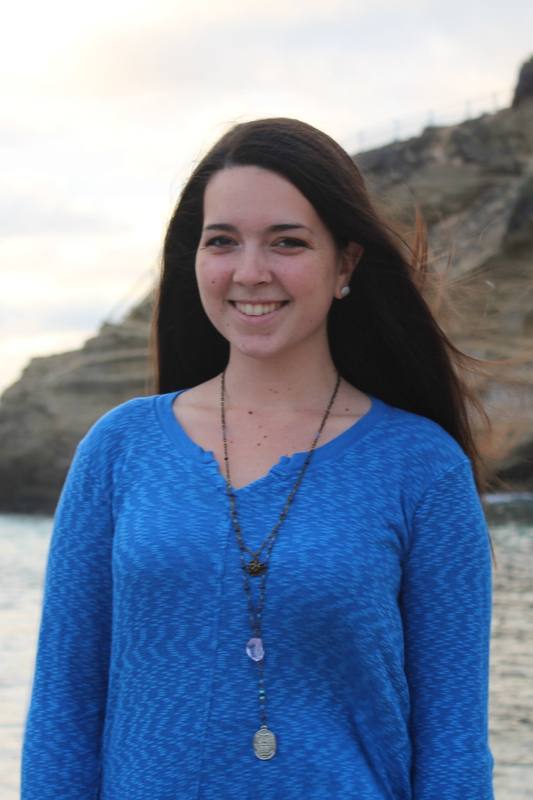 Event Planning Super Hero Skill: The ability to be in multiple places at once would be oh-so helpful! Veil, Flower or Headpiece? I think veils complete the whole ‘bridal’ look perfectly; so why mess with a good thing? Favorite Wedding Tradition: I love the idea of the first look that is starting to gain headway in the wedding world, it is such a special moment and a great time to ease any pre-wedding jitters. The moment in every wedding that never fails to bring you to tears: I love when the bride walks down the aisle and makes eye contact with her groom, it warms my heart every time without fail. 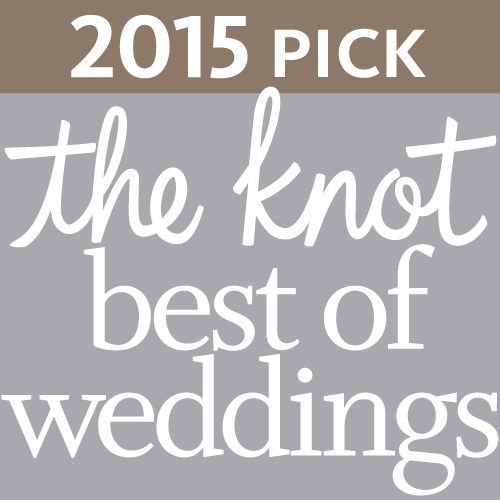 Marisa Nicole Events Voted The Knot Best of Weddings 2015! 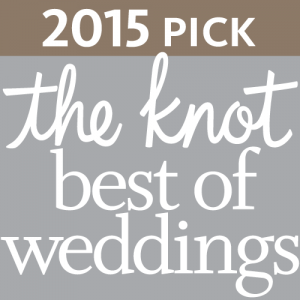 We are crazy excited to announce that we have been voted by brides on TheKnot as a ‘Best of Weddings’ Winner for 2015! This is the third time we have had the honor of receiving this award and we couldn’t be happier about it! According to The Knot, this puts us in the top 2% of all wedding planners affiliated with the Wedding Channel, so that is kind of awesome. We want to take a moment to thank all our couples who took the time to vote for us and write fabulous reviews about our services! Not to toot our own horn, but it is rather amazing that we have never received a review that was anything less than a full 5 stars from our couples. We just loved being a part of your day and look forward to helping many love birds tie the knot in the years to come!